Citizen Jeff – Be That Dog! Today I found this. It’s a clapperboard. And did you know that the clapperboard is actually an Australian invention? And so is the feature film! And jelly crystals! Amazing. Anyway, as soon as I saw it I thought, I must have it! Just like all great stars, I didn’t find film, the art of film found me! In the shape of a novelty store clapperboard. So I carried the clapperboard away to the sofa for closer inspection. I am not sure it is as much fun as cardboard or a cat toy. It doesn’t squeak and doesn’t contain catnip. But it has still got my interest! I think I might venture into films … as a director, of course. I shall become known for my jump cuts and zoom and my use of found objects. 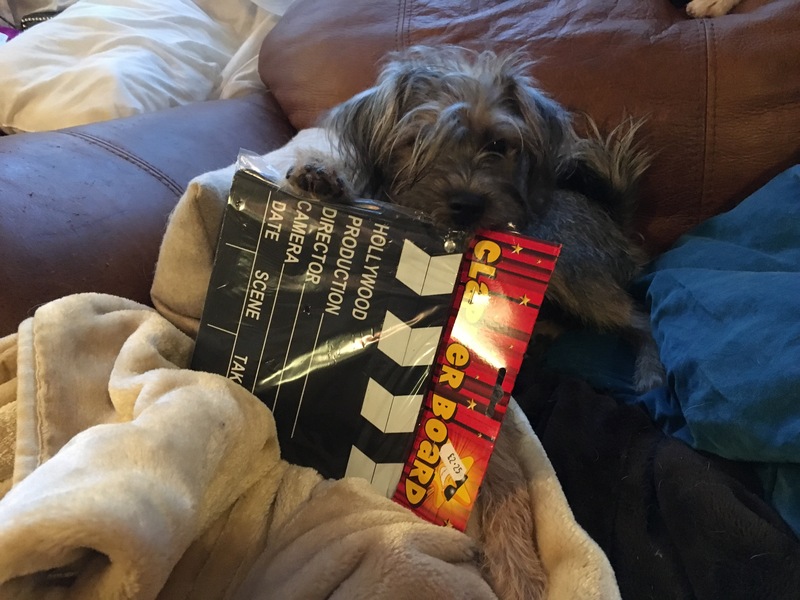 A dog filmmaker? That’s Jeffervescent!